'Tis the season to be shopping! As a bride to be, you certainly have a few extra special people to shop for this season so we wanted to help you get inspired. 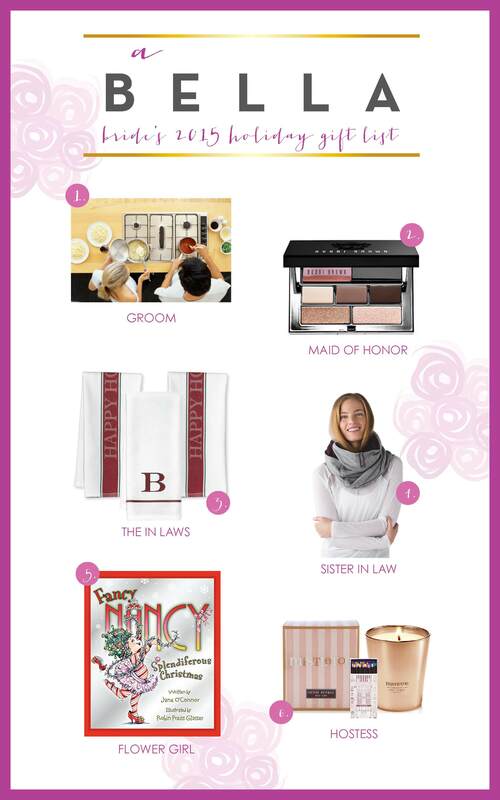 Check out our holiday gift guide for everyone from your handsome hubby to be to that adorable little flower girl. Links are featured below so happy shopping!